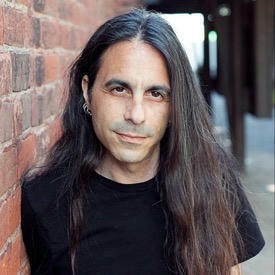 Everyone’s favourite publicist, radio host, blogger, and social media personality Eric Alper (aka @ThatEricAlper) takes us through his remarkable music career, from starting his own label in the mid-‘90s to moving into PR and working with Smithsonian Folkways, Koch Entertainment, and eOne Music to then becoming his own boss. Through it all, he’s worked with countless artists, from the emerging to the legendary, including the likes of Ringo Starr, Ray Charles, Jerry Garcia, Nickelback, Sinead O’Connor, The Smashing Pumpkins, Steve Vai, Big Sugar, and many more. On top of his publicity work, Eric blogs at ThatEricAlper.com and is all over social media, with Billboard, Paste, and The National Post naming his as a major influencer. He also hosts That Eric Alper’s Show on SiriusXM. He tells Mike about his upbringing and why he has such a passion for music, how he got his start in the industry, some of his favourite artists to work with, and, of course, some talk about the evolution of social media.